Charlie Tahan recently starred alongside Zac Efron as his deceased brother Sam in Charlie St. Cloud. Find out how he got his big break in Charlie’s Kidzworld bio! Charlie didn’t waste any time getting into acting. 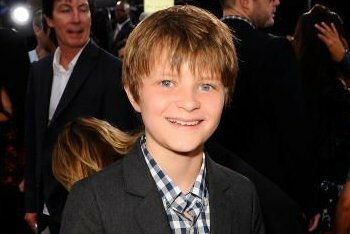 He starred in his first movie when he was seven-years-old—Charlie played the younger version of Seann William Scott’s character in Trainwreck: My Life as an Idiot. Since then Charlie has worked on lots of projects. He guest-starred on the Fox TV show, Fringe and acted alongside Will Smith in the summer blockbuster, I Am Legend. Charlie Tahan recently landed his biggest role to date—starring alongside Zac Efron in Charlie St. Cloud! Charlie had worked with the producer on a Natalie Portman movie called Love and Other Impossible Pursuits. The producer liked Charlie so much that he brought him on board for Charlie St. Cloud! 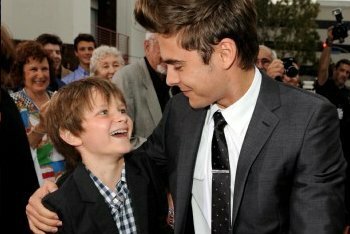 Charlie plays Zac Efron’s deceased brother, Sam.